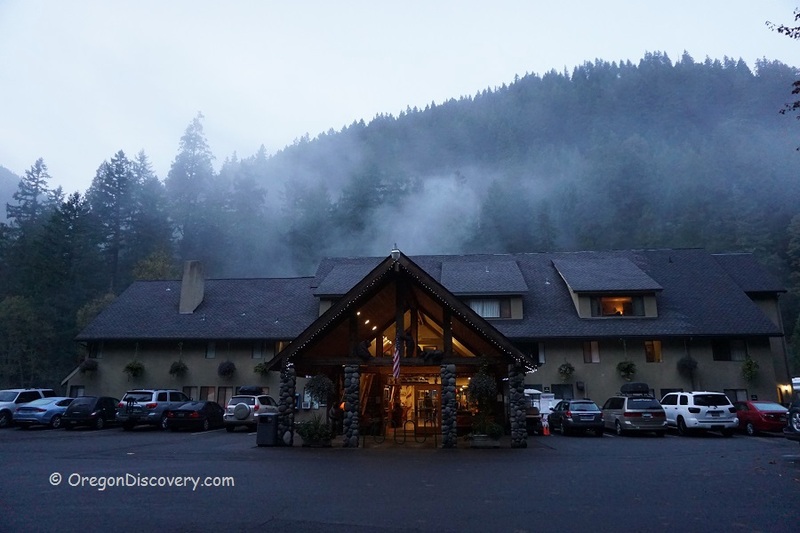 Situated in the western foothills of the Cascade Mountains in the Willamette National Forest, Belknap Hot Springs is a historic spring resort and campground that offers lodging and camping on the bank of the beautiful McKenzie River. 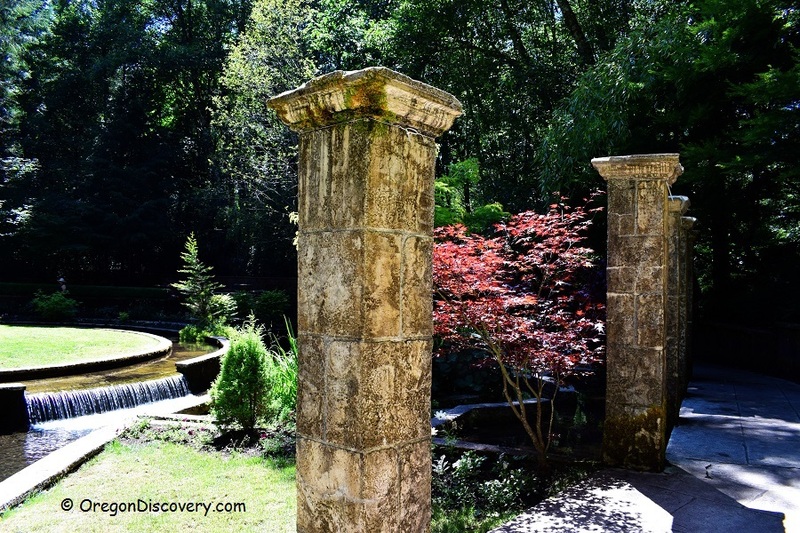 Originally called "Pools of Salome" and "Siloam Springs", the hot springs were used by Native Americans for religious ceremonies, healing and rejuvenating practices. According to archaeological finds, this site was utilized for more than 8,000 years. 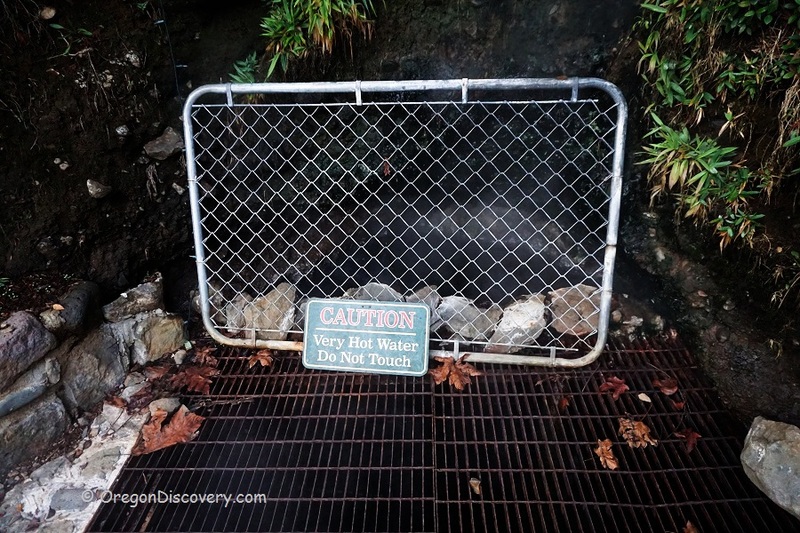 The first European explorers and local residents found and described this hot springs in 1854. In 1869, Rollin S. Belknap claimed the springs and land across the river with plans to build a health spa. In 1874, the resort facilities under the name "Salt Springs" was opened to the public. In 1891, the name of the hot springs was changed to Belknap Springs in honor of the first proprietor and the resort developer. 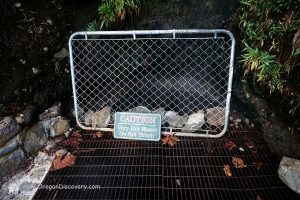 Since 1874, Belknap Hot Springs has been almost continuously open to the public, except for a period of time between 1968 and 1978. The scalding water of the springs' source is close to the boiling point, between 185°F (85°C) and 196°F (91°C). It is pumped across the river into a reservoir that, also, plays a role of a heat exchanger, supplying the resort facilities with geothermal heat energy. After the mineral water in the reservoir is cooled down to a comfortable temperature, it is piped into the outdoor pools. 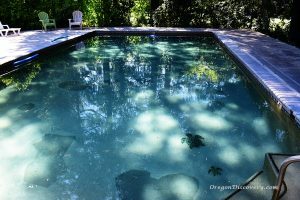 There are two mineral swimming pools. The lower large pool on the bank of the river is open to all resort's guests daily from 9 am to 9 pm. 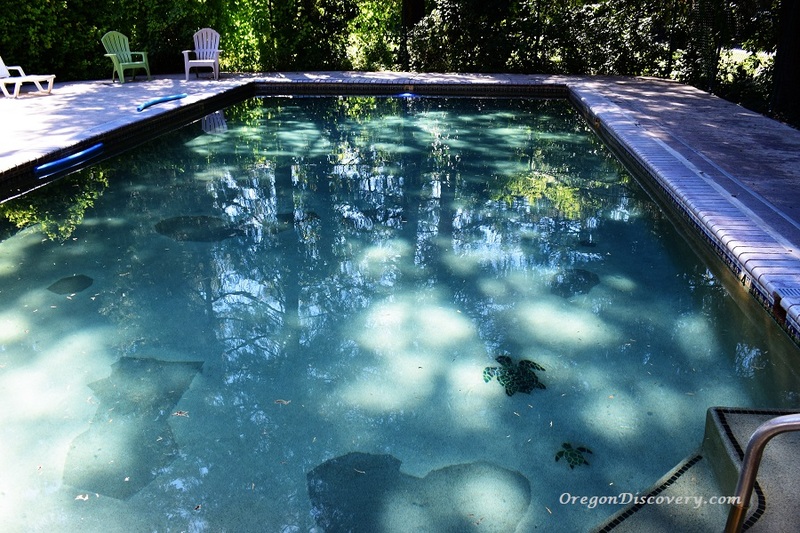 The nice smaller upper pool is reserved mainly for people who stay overnight and open until 10 pm. The temperature of outdoor pools is kept at 92°F (33°C) in the summer and 102°F (39°C) in the wintertime. 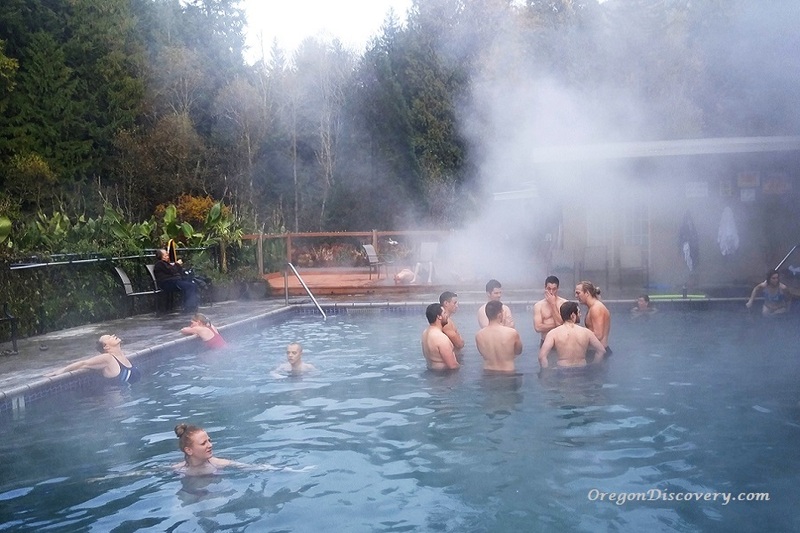 Several lodge rooms have their own indoor jacuzzi tubs supplied with the hot springs water. 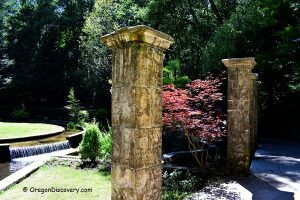 The Belknap resort features great landscape with large grassy areas, flowers, sculptures, and the romantic Secret Garden with ancient stile like columns, flowing water, and cascading small waterfalls. The footbridge across the river takes you to the source of the springs. 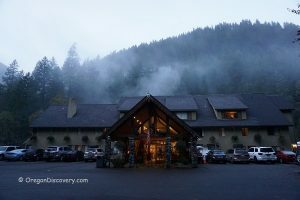 From this point, you will find a network of hiking and biking trails including the 27-mile McKenzie River Trail that winds along the McKenzie River and pass Tamolich Blue Pool, Sahalie and Koosah Falls, old lava flows, and Clear Lake. In the summer, the river provides great opportunities for fishing and white rafting. In the winter, recreation activities including skiing, snowshoeing, sledding, and snowmobiling are available nearby. 151 miles southeast of Portland. Turn left and continue to the Belknap Hot Springs Resort.